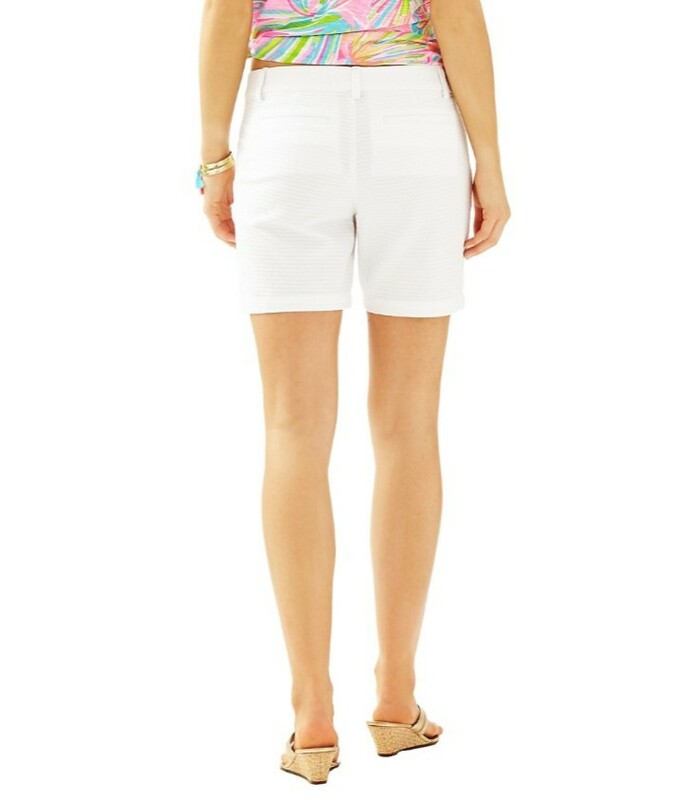 5″ Inseam, Garment Washed, Zip Fly Short With Center Front Button Closure And Scallop Hem. Weave Jacquard (100% Cotton). Machine Wash Cold. Imported.